Hey Racers! Today is the second day of the Guess the Picture challenge that Wrench sent over to us. We managed to unscramble the image from Tuesday and put everything in right place. Unfortunately, we still cannot make any sense of it! 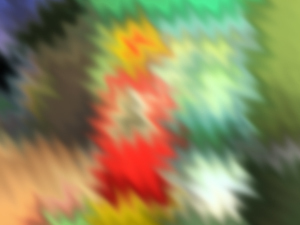 Since you know so much about Eat My Dust, we need your help to figure out this mystery image! If you still do not know what it is, do not worry – we are working hard at clearing up the image to help give you extra clues as this week progresses. As a reminder, do not wait too long, as only the first five correct answers will win the prize of 200 coins! Simply comment on the blog with what you think is the correct answer. Good luck, Racers! EMD Challenge: Guess the Picture! Hey Racers! Want to earn more coins? Well, we have a challenge for you! Wrench recently sent us a picture of something in the game that we cannot quite figure out. The picture seems to have gotten distorted and all mixed up during his last race around the tracks. With your knowledge of the roads around Eat My Dust, do you have what it takes to help us figure out this mystery snapshot? If you’re not sure, do not worry – as the week progresses, we will be piecing together some extra clues to help make this challenge easier to figure out. But, don’t wait too long – only the first five correct answers that we receive will win the prize of 200 coins! Just comment on the blog with what you think is the correct answer today. Good luck, Racers! At Eat My Dust, we value creative expression when working to fill our online world with the most exciting and interactive games. 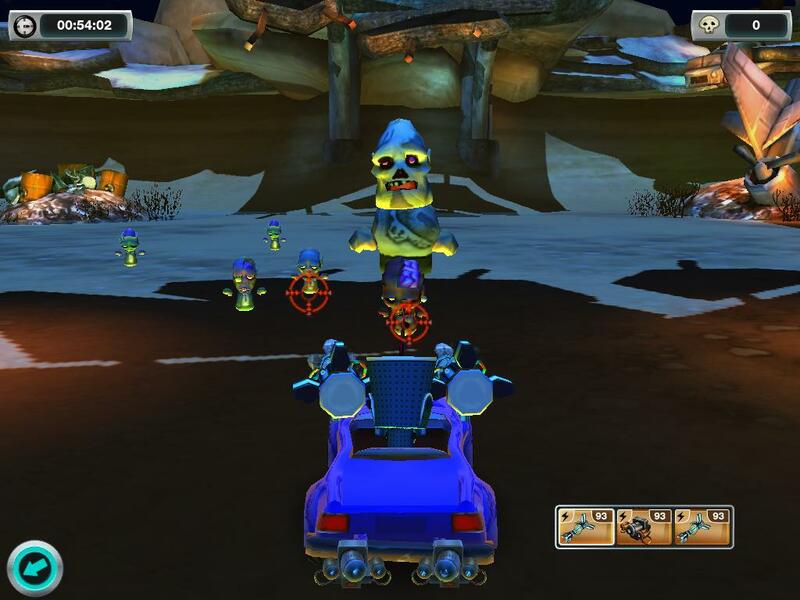 In that tradition, players are encouraged through regular play to create and customize their cars and various game areas as exciting extensions of themselves and their interests. From hip hairstyles and fun facial features to clothing and other awesome accessories, how would you want to be able to customize your look, if you had an avatar of our own to create? Get your voice heard in our game design process by submitting your answers to this latest poll question! If given the chance to customize specific areas of your avatar’s body with custom cool parts or helpful extensions (i.e. tools, accessories, etc), which would interest you most? Explain your choice in the comments below. e. Do you have other cool customization ideas? Do you have any ideas for how you would like to share? Maybe you’ve always wanted a hammer as a hand to showcase your avatars strength or dreamed of having other cool gadgets to express yourself. Think big and let us know what you have in mind. Your insight and feedback is what makes things happen in Eat My Dust! Zombie Outbreak: Are You Up For the Challenge? Zombies are taking over and, in this case, your best defense is going to be a great offense. Next time you get alerted, head directly to the gates and don’t shy away from what might be coming your way. Grab some friends and go head to head with these crazy creatures to earn your driver a few extra coins and work your way to some much deserved Street Cred! Aim your weapons and start shooting! Once you make your way beyond the gates, you will find that the zombie problem is much more of in issue on the outskirts of Eat My Dust. Be prepared for the worst by customizing your car with a trip to the mechanic’s shop. After all, these zombies will be coming at you with all they’ve got. If you have what it takes to clear the field, you will definitely have something to brag about. Earn coins for each successful shot. Start training with a few practice runs in the arena, and when you’re ready try and challenge a few of your EMD pals to see who can come back with the most zombie take downs by the time that the clock runs down. Think you have what it takes to get top honors? Log-in to Eat My Dust today! Race your Way to the Top! 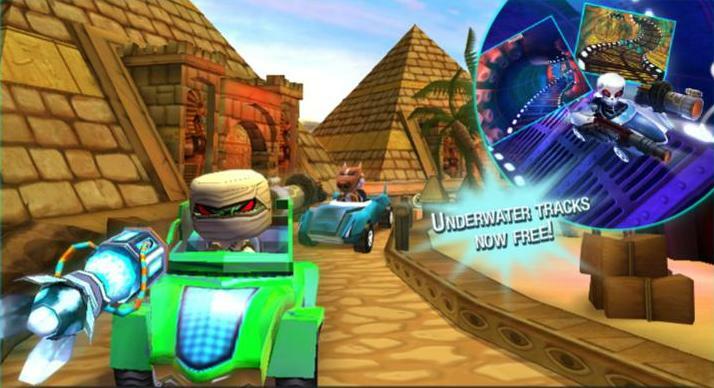 Think you have what it takes to be the ultimate Eat My Dust racer? 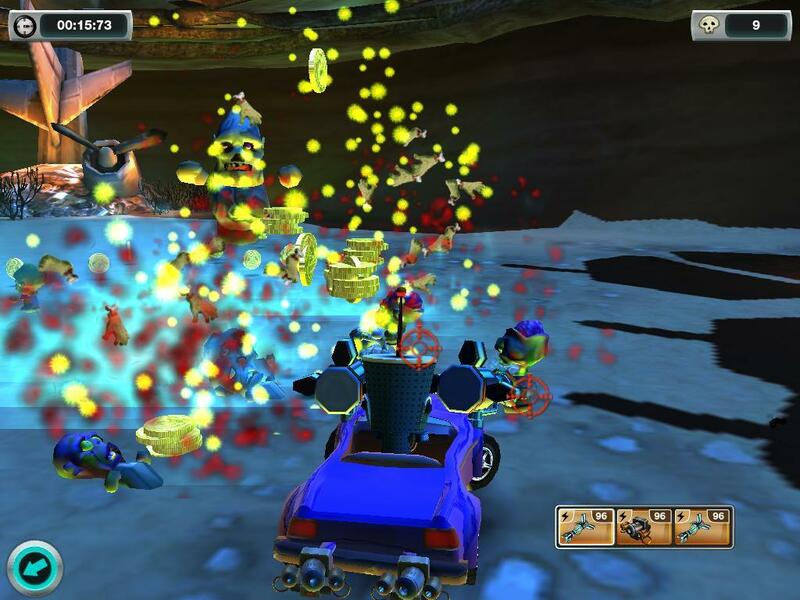 Put the pedal to the metal and drive on over to your den to check the leaderboards for today’s best times. 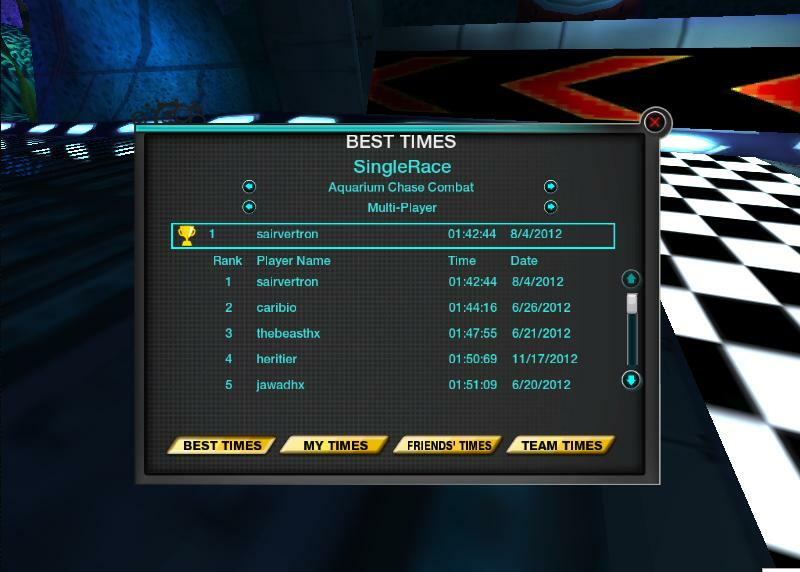 If you haven’t made the cut, challenge your friends in a few rounds on our tracks to start a race to the top spot. From the Aquarium Raceway to some of our more prehistoric tracks, the roads are open for you to cruise into a first place finish! After your next race, select to best times option to see where you fall in the overall standings. For each track, you’ll be able to view the all time-top raceway finishes. This means that to be the Ultimate Racer, you’ll need to hit the practice circuit and mechanic shop to get your custom car ready to take the lead. Then, when your car is ready and you feel like you know the tracks well enough, step up and try our ultimate racer challenge. Take the top spot on some of our most unbelievable tracks, and none of your friends will be bale to question your skills behind the wheel. Ready? Set. Go! Say goodbye to 2012, and say hello to 2013! What did you do to celebrate the coming of the New Year? Did you have a party with friends and family, or did you get to watch any fireworks or participate in special events? Whatever you did for your New Year’s celebration this year, now is the time to make some New Year’s resolutions as you play Eat My Dust! 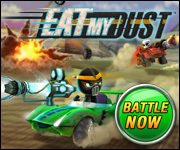 Let the New Year motivate you to get some new high scores to climb the leaderboards in Eat My Dust. With 2012 now in the past, don’t you think it’s time to get your game on and challenge any rival racers that cross your path? Make your high scores even better, and win coins to get the coolest gear out there. Let 2013 be a year of victory, not only for yourself, but also for your team!